The following article was published in the Today tab on the App Store on March 17, in UK and Ireland. There’s something special about breaking out that hefty family photo album – and it's not just seeing your dad with a mullet. The grainy, film-shot photos. The musty, memory-sparking smell. The pang of nostalgia. With the constant fear that something will be spilt, transforming these irreplaceable memories into watermarked mush, however, it’s not a comfortable experience. Don’t worry, you can remove this panic by using Photo Scanner Plus to create digital copies of your traditional snaps. Here’s how. Simply photographing your photographs would do the trick, right? Technically, yes, but it’s a move that will result in images plagued by reflective glare, distorted proportions and cropping issues. Photo Scanner Plus counteracts all of that. To digitally scan your printed photo the app gets you to capture a three second exposure of your desired image. From this it automatically works out the boundaries of your photo, removing all unwanted background (such as the table your photos are lying on) and realigns your shot, accounting for the angle you scanned from. Photo Scanner Plus can automatically detect the edges of your photos. It also automatically colour balances your image and reduces glare, resulting in an image that savours your memories without losing any of that traditional film-shot charm. 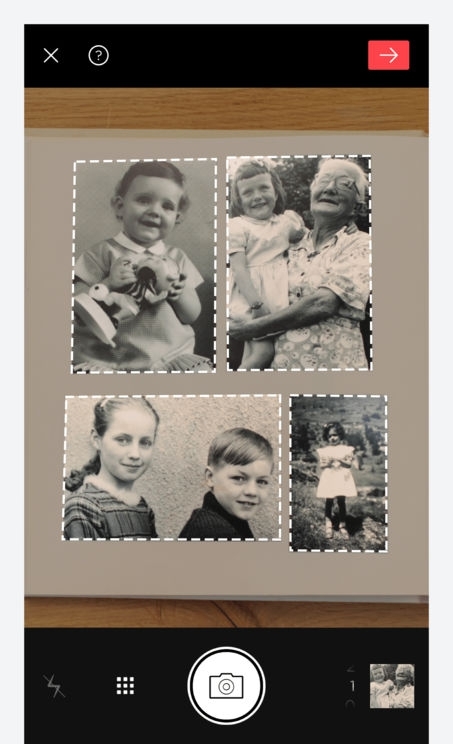 Sit in front of a pile of 274 photos and digitising your physical prints can feel pretty daunting. Thankfully Photo Scanner Plus lets you scan not just multiple images at once, but multiple pages of an album simultaneously. 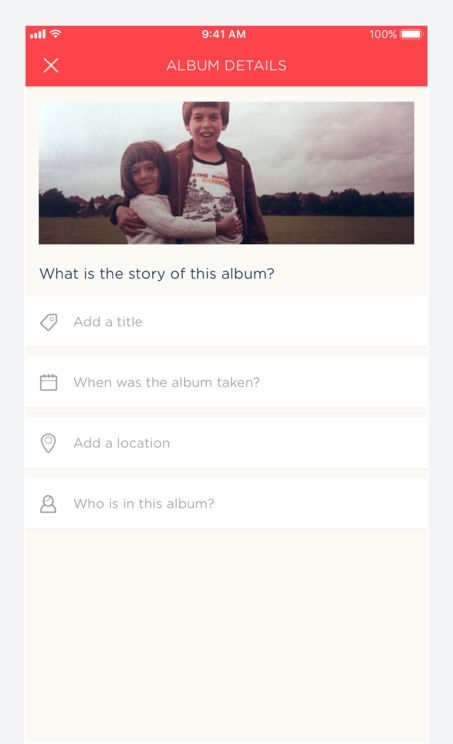 You can scan entire pages of your old albums at once. Following the same three second-process, point your iPhone at a double page spread of images and the app will separate individual photographs, pulling each in as a standalone, high-quality shot. You don’t even need to worry about removing each photo from its binder. Bringing your vintage photos into the digital realm is special; using modern technology to add colour to black and white images is full on magic. And that’s exactly what Photo Scanner Plus is capable of. 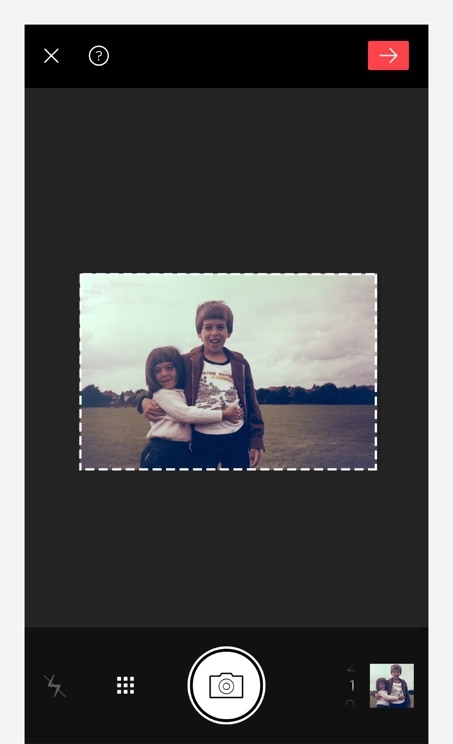 Having scanned a monotone image, tapping the three dot menu icon in the bottom right of the image window gives you the option to ‘Colorize black-and-white photo’. Tapping this button starts a 30 second process that analyses your image before adding original colours back in. 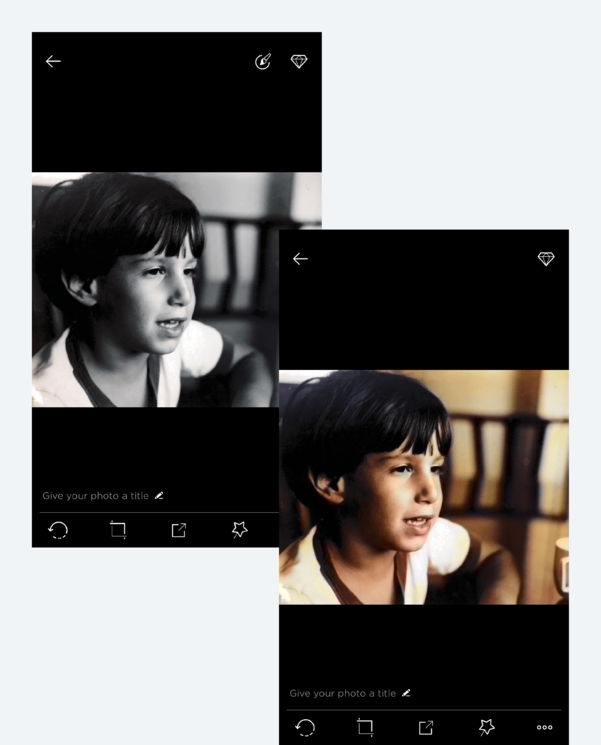 The app’s ‘colorize’ feature even lets you bring old black and white images to life. It’s not perfectly accurate, and don’t expect these shots to be as bright and vivid as the images you’d capture with your iPhone today, but even these subtle elements of colour offer an insight into a forgotten world. One which can make you feel closer to past memories. It’s not just the visual element of your physical photos that needs immortalising – those scribbled notes on the back of your snaps, such as ‘Scarborough beach, 1992’, need remembering too. Fortunately, you can add context to your scanned shots. Once you’ve recorded your photos you can add notes to better savour the memories. Once you’ve captured a shot, tapping ‘Give your photo a title’ in the editor mode lets you add everything from when and where an image was taken to who is in it – even a bespoke description. As well as letting you better remember these moments, it makes it easier to locate specific shots at will using the app’s Discover tab.